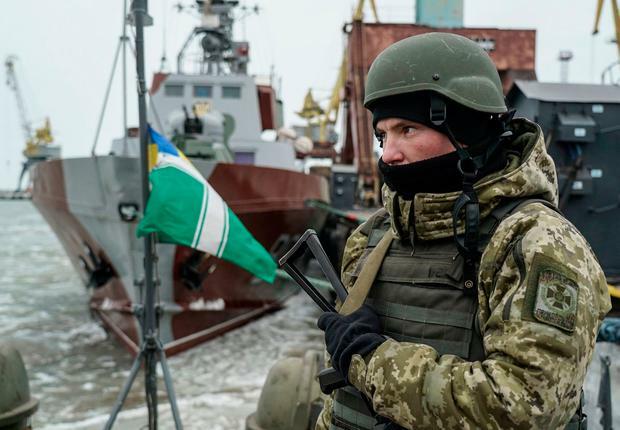 Shipping traffic has resumed to and from ports on the Sea of Azov after a stand-off with Russia, a Ukrainian minister said yesterday. Commercial ships were moving through the Kerch Strait linking the Sea of Azov with the Black Sea, according to Infrastructure Minister Volodymyr Omelyan. Mr Omelyan accused Russia last week of blocking Ukrainian cargo trying to pass through the strait. He said yesterday that the ports of Berdyansk and Mariupol had been "partially unblocked" thanks to a "stern international response".